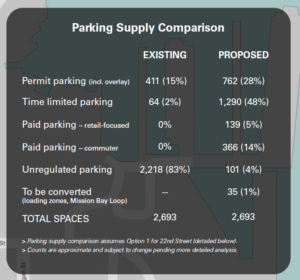 The San Francisco Municipal Transportation Agency (SFMTA) is working to finalize a parking plan for Dogpatch and wants to be sure local businesses have had an opportunity to review the plan and provide feedback. 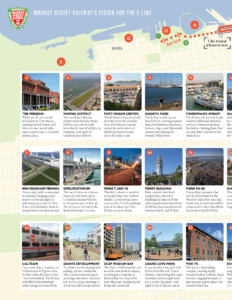 The below link and images reflect a plan that has resulted in months of dialogue from Dogpatch neighbors. 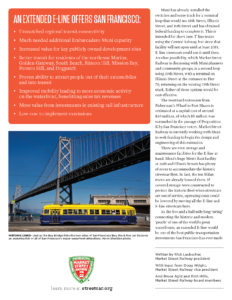 The SFMTA is continuing to seek input from local businesses by way of the DBA. Subjects for future conversations include the creation of a feedback mechanism once plans are in place, bike lanes, car sharing parking, accommodating commuters, and more. Please join the conversation by way of a committee or attending DBA general meetings at the Museum of Craft and Design on the third Tuesday of each month. 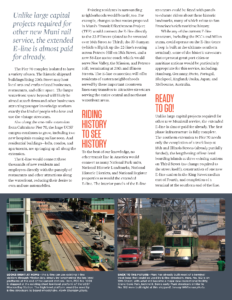 The DBA is supporting efforts to extend historic railcar service to Dogpatch. 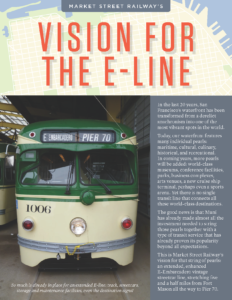 Rick Laubscher, President of the independent advocacy group Market Street Railway, is advocating for the extension of the E-Line historic cars to service Third Street and Dogpatch to 25th Street. 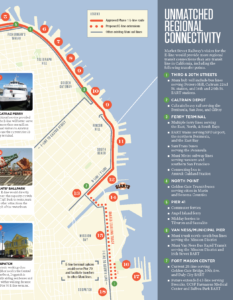 When the Central Subway opens, the T-line will no longer run along King Street and the Southern Embarcadero. 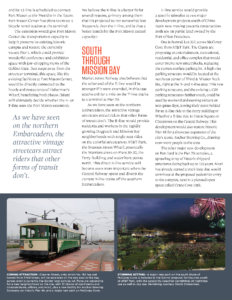 The E-line would retain that important Embarcadero connection for riders in Dogpatch and Mission Bay and extends all the way to Fisherman’s Wharf and hopefully Fort Mason within a few years. 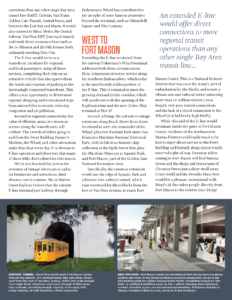 Learn more about the Market Street Railway here. 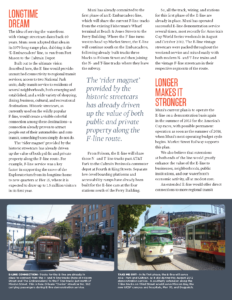 And more on the case for the E-Line below.